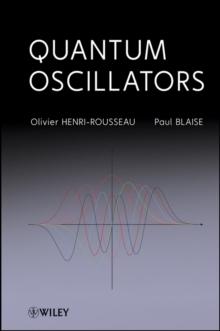 Quantum Oscillators is a valuable source of information and an excellent supplementary text in courses on spectroscopy of hydrogen-bonded systems, one of the unsolved problems of science. This reference provides a reasonable and accessible entrance to the difficult subject of nonequilibrium quantum mechanics and is a timely update of classical works while, at the same time, providing a comprehensive treatment of hydrogen bonding. Also included is an appendix that summarizes mathematical concepts needed to understand the basis of the theory.